NOTE: In case you missed the news conference of Sheriff Joe Arpaio’s “Cold Case Posse,” WND plans to have the entire event available in 15-minute increments beginning Friday morning at this online location. Questions over Mr. Obama’s birth certificate have been a political sideshow for the last four years, and have persisted despite repeated denials by the White House, and despite the release of evidence he was born in Honolulu, Hawaii, on Aug. 4, 1961. That evidence included both a certificate of live birth released during the 2008 campaign and the long-form certificate last year. Fact-check organizations have concluded the certificates are authentic, and Mr. Obama has joked about those who questioned his birth. At last year’s White House Correspondents Association Dinner, soon after releasing his long-form certificate, he mocked Donald Trump, who had said his own investigators were looking into the matter. 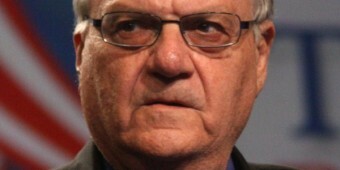 Now Sheriff Arpaio, who first built his national profile by creating tent cities for jail inmates and later by taking a tough stance on illegal immigration, could reignite questions among those who continue to believe Mr. Obama was born outside the U.S., and therefore is ineligible to be president under the Constitution’s provision that the officeholder be a natural-born citizen. Sheriff Arpaio said at least two crimes could have been committed in his view through the forgery. He repeatedly said he is not questioning whether Mr. Obama was born in the U.S., but instead is challenging the authenticity of the documents themselves. He released a 10-page report detailing what his investigators said were “inconsistencies” in the text characters of the birth certificate image the White House released, and also questioned details of the computer file itself. Some of those claims had earlier been raised on the Internet as well, and both the White House and independent fact-checkers have dismissed those questions, saying the computer file is consistent with the version of events the White House has detailed. It released the long-form certificate last year after repeated questions were raised by conservative activists and conspiracy-theory websites questioning the authenticity of the short-form certificate Mr. Obama released during the 2008 campaign. The Justice Department has accused Sheriff Arpaio of civil rights abuses within his department, but he said he began his investigation before that — in August 2011, after tea party members from Surprise, Ariz., a town within Maricopa County, signed a petition challenging the certificate. Sheriff Arpaio detailed former law enforcement officers who constitute what he called his “cold case posse” to do the investigation. He said no taxpayer dollars were spent. He was joined in his press conference by Jerome Corsi, an author who has been critical of Mr. Obama. He was also one of those who took a critical look at Sen. John Kerry’s military service during his 2004 presidential bid. Mr. Corsi made headlines when he traveled to Kenya, saying he wanted to track down where he thought Mr. Obama was really born. Sheriff Arpaio said he went into the investigation with an open mind, and would have been happy to clear Mr. Obama. His investigators said the computer file released by the White House appears to have been created on a computer, rather than having been originally made on paper and then scanned. The investigators said they have identified “a person of interest” in the birth certificate. Sheriff Arpaio’s chief investigator on the project said there are so many questions that he couldn’t have cleared Mr. Obama to be an employee of Maricopa County. Pursuing questions over the birth certificate has been a thorny issue for the GOP. State lawmakers in several places, including Arizona, have pursued laws that would have imposed checks on any presidential candidate’s qualifications to get on their state ballots. One such proposal in Arizona, which became known as the “birther” bill, was vetoed by Gov. Jan Brewer last year.